Much has been written of late about the impact of e-books on the publishing business. Regardless of their impact on new titles, however, there can be little doubt that they provide a cheap, low risk means of making books available to the public. For books that are long out of print, this is an attractive option. Sadly much of what has been done so far has had low quality standards. Scanning and automated conversion alone result in an inferior product that gives e-books a bad name. Wizard’s Tower Press aims to ensure that all of its books are properly proofread and corrected before publication. Markets such as the Kindle and iBooks are simple ways to bring e-books to market, but their catalogs are already vast and growing quickly. To sell effectively, a specialist genre requires a dedicated online market where readers will find the sort of books they are looking for, and where publishers can effectively promote their wares to their target audience. Wizard’s Tower will be happy to provide such a service to any e-book, whether they publish it or not. A key element of the Wizard’s Tower strategy will be Salon Futura, a monthly online literary review magazine that will highlight the best and most interesting releases in the science fiction and fantasy fields. The magazine is currently open to submissions for critical articles, book review articles and cover art. Initial pay rates will be 5c/word, up to a maximum of 2000 words. 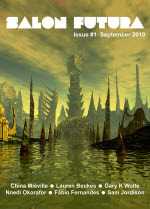 The first issue will be available at the 2010 World Science Fiction Convention (Aussiecon 4) in Melbourne, Australia (September 2010). Everyone involved in Wizard’s Tower loves physical books too. Very small presses cannot compete effectively with large, multinational publishing houses when it comes to novels, but we do aim to publish a limited number of special interest anthologies. 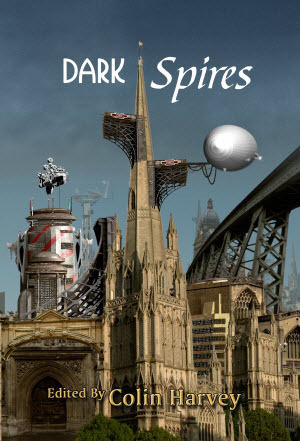 Our first publication will be Dark Spires, a collection of fantastic stories from the Wessex region of England edited by Colin Harvey. 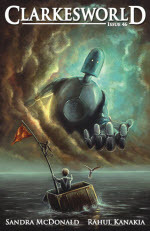 It is scheduled to be launched at BristolCon in Bristol, UK on November 6th 2010. It will also be available as an e-book. Wizard’s Tower press is owned and managed by Cheryl Morgan and based in the UK. Cheryl has won two Hugo awards for her online writing. She is the non-fiction editor for the Hugo, World Fantasy and Locus Award nominated Clarkesworld Magazine. Cheryl is also a director of San Francisco Science Fiction Conventions Inc, and of the Association for the Recognition of Excellence in SF & F Translation. For further information please email info [at] wizardstowerpress.com or visit the website at http://wizardstowerpress.com/.